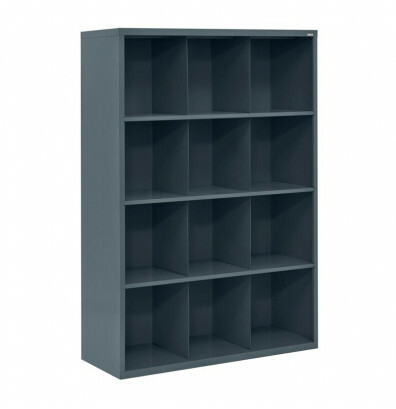 Sandusky 12-section cubby classroom storage conveniently holds clothing items and education supplies. Sturdy heavy duty welded steel construction. 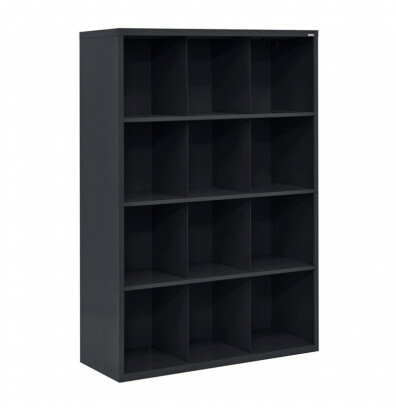 Sandusky 12-section cubby classroom storage offers lasting durability with a heavy duty welded steel body. Open storage design is well suited for visual organization. Load capacity up to 155 lbs. Greenguard certified for low emissions. 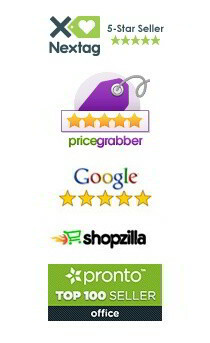 Ships pre-assembled for instant use. Available in multiple colors. 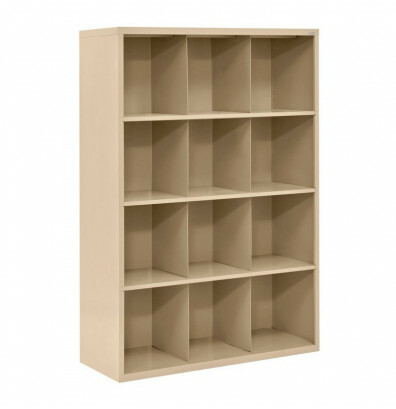 Can the shelf unit be used on its side or are the shelf dividers too weak to hold items? This classroom storage unit should not be placed on its side and used in that configuration. I wanted to put these in a yoga studio so people can place their hats and shoes in a bin. Would this bin provide adequate size and strength for that? Thank you. Each compartment measures 14.5" wide x 17.5" deep x 15" high. This should be adequate for shoes, typical baseball hats and such. The unit itself supports up to 155 lbs.